“Look, Mummy, it’s the Australian flag!” exclaimed Ickle as we approached the castle grounds. Erm, not quite. 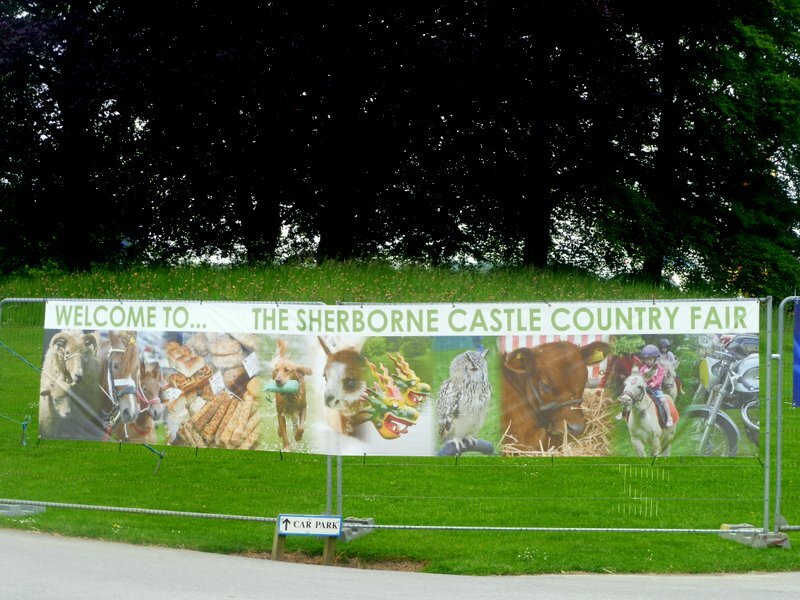 We happened to be in deepest Dorset, in the UK, heading to the Sherborne Castle Country Fair. Billed as “One of the South West’s premier one day events”, we were expecting big things. Despite having spent the best part of my youf in Sherborne, I don’t recall having been to the Country Fair. Set in grounds landscaped by Capability Brown, no less, the event attracts masses of people: 17,000 through the gates in 2015. Every man and his dog was there this year. Many of them sporting tweed ensembles (the men that is); the ladies had opted for hats that wouldn’t have looked out of place at Royal Ascot or Flemington. The programme was jam-packed with livestock displays, gymnastics routines, dragon boat racing, horseback falconry shows, car stunts, and so much more. Everywhere we went, something was going on. The girls loved the traditional Punch & Judy show. They sat on straw bales and yelled “Judy” at the tops of their little voices as Mr Punch fed the baby into the sausage machine. Ickle and her daddy braved the helter skelter. 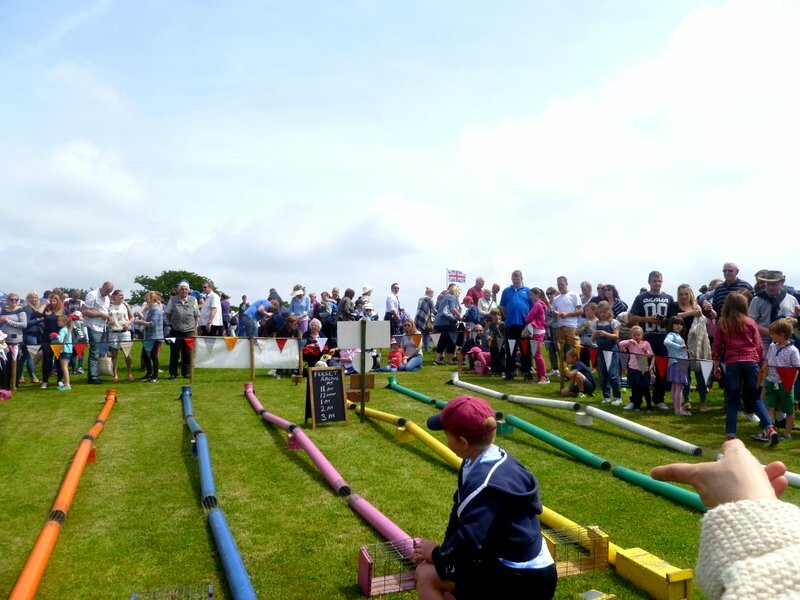 And I had a peek at the ferret racing, which had drawn quite a crowd. 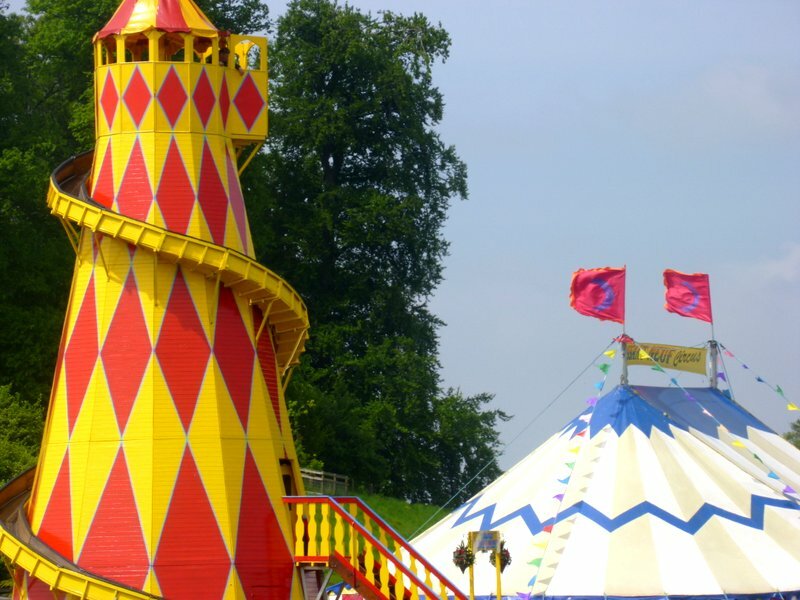 All-in-all, it was a colourful, lively and classic English country fair. 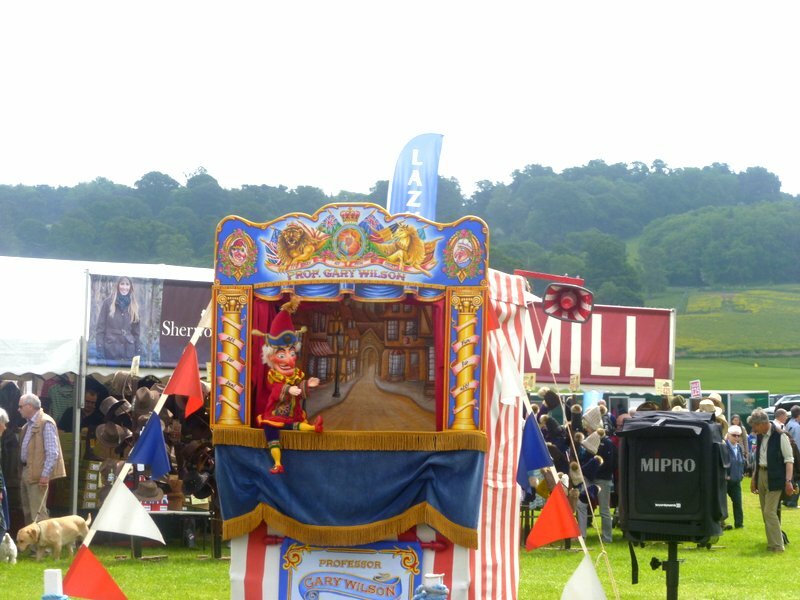 This entry was posted in Further afield and tagged Capability Brown, ferret racing, helter skelter, Punch and Judy, Sherborne Castle Country Fair on August 4, 2016 by Laura.